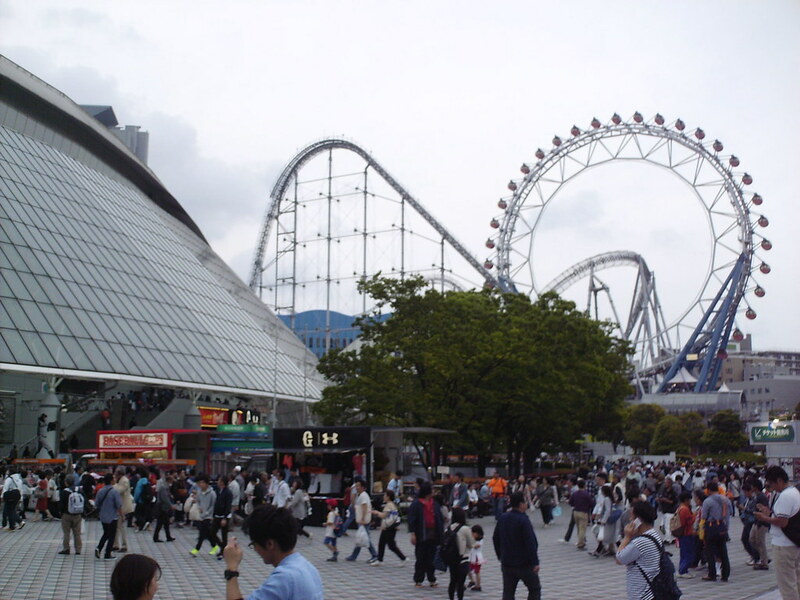 Tokyo Dome City, including an amusement park, outside the gates of the Tokyo Dome. 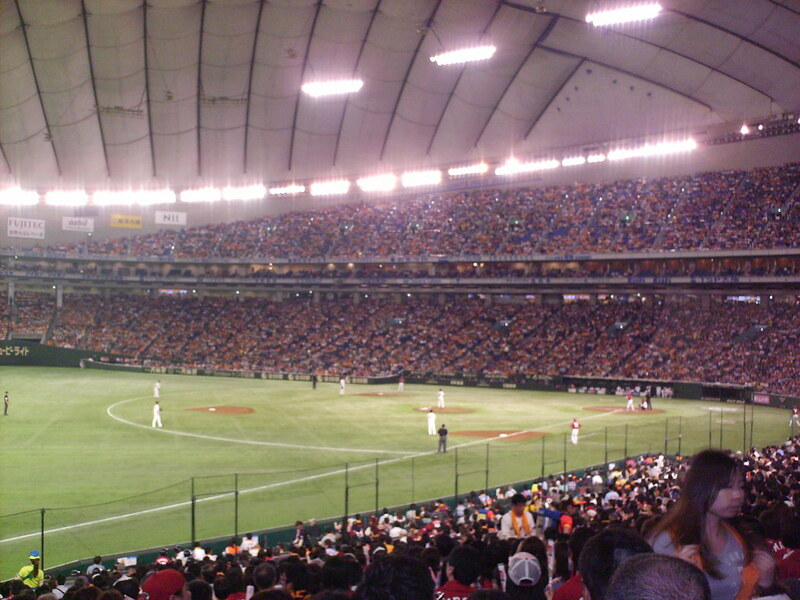 The view from behind home plate at the Tokyo Dome. 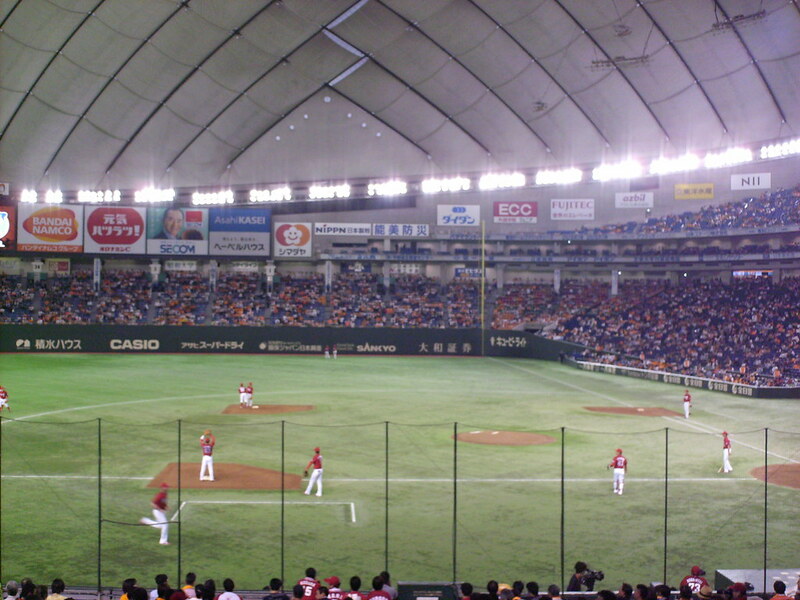 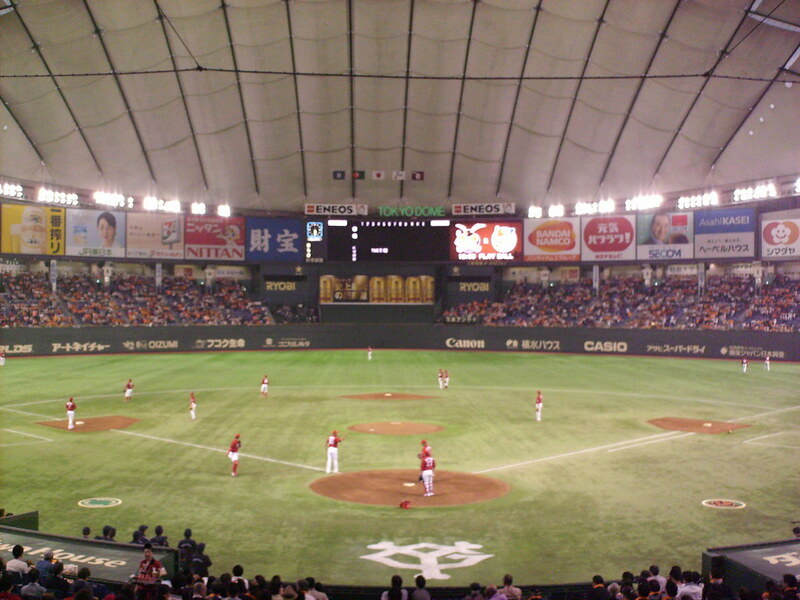 The grandstand at the Tokyo Dome, as seen from the right field corner. 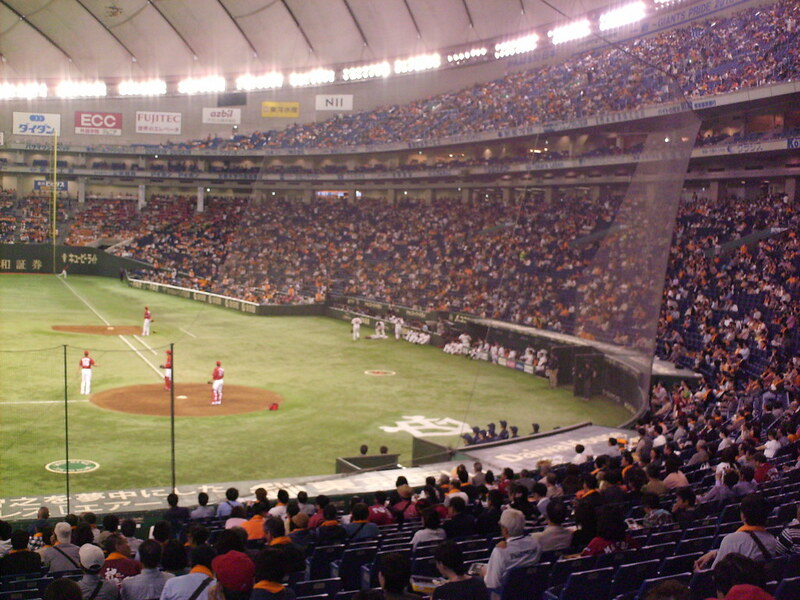 The pressbox behind home plate, with extra padded seats in front of it. 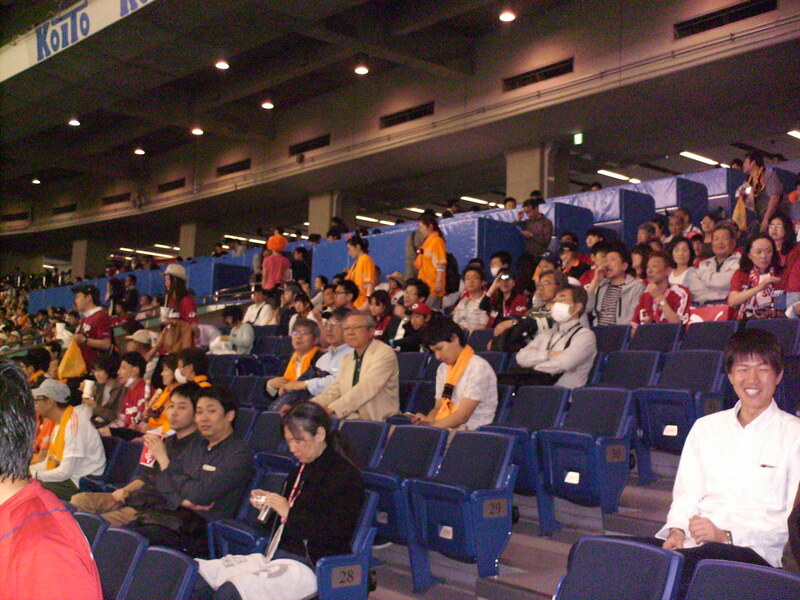 Luxury suites run above the pressbox and main concourse, with the upper deck on top of them. 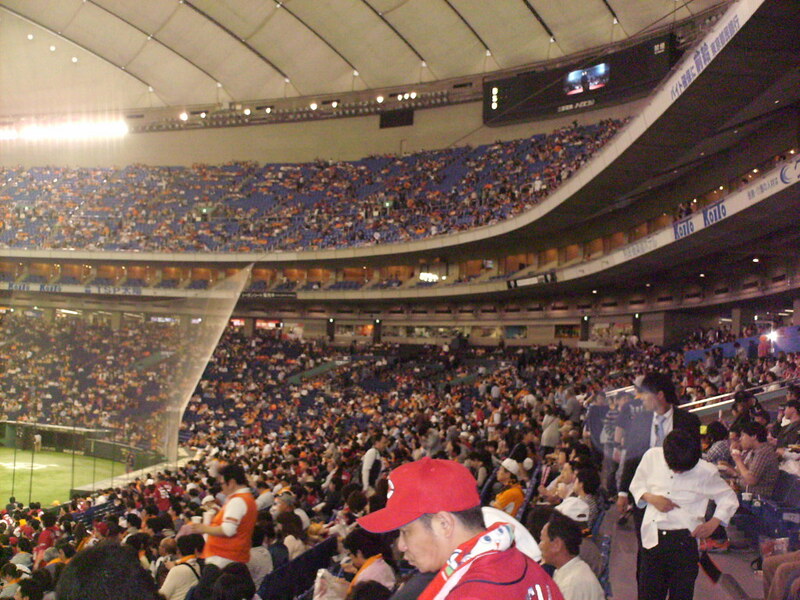 The suite level and upper deck taper off as they reach the outfield, with only a few rows of seating in each by the time they wrap around the foul poles. 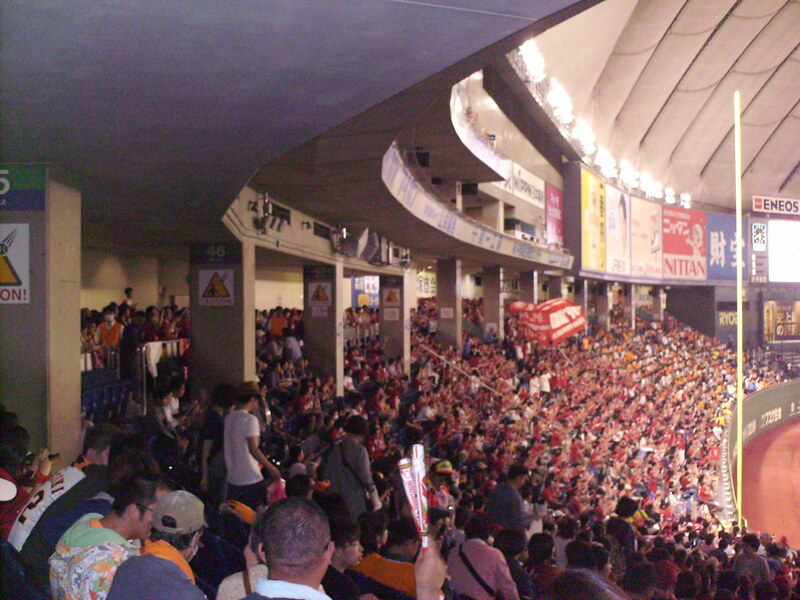 Box seating on the third base side of the grandstand. 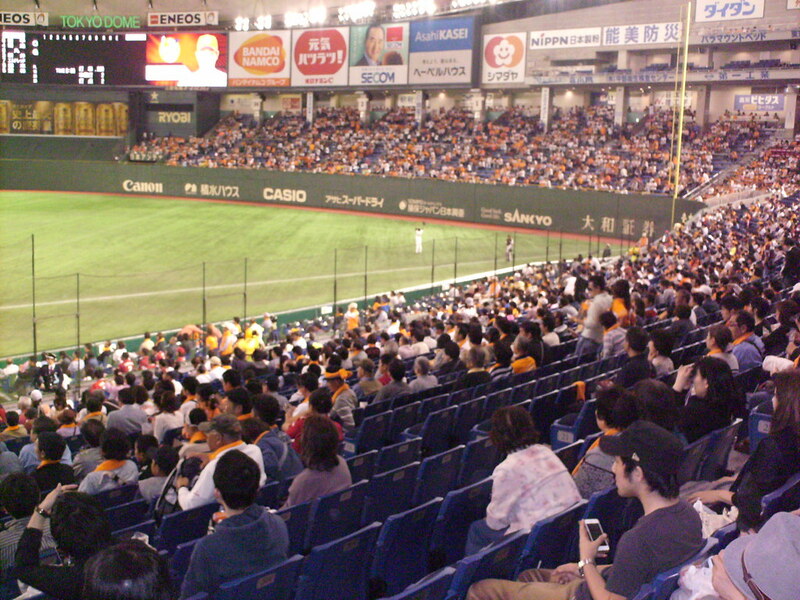 The Giants cheering section sits behind the outfield fence in right field. 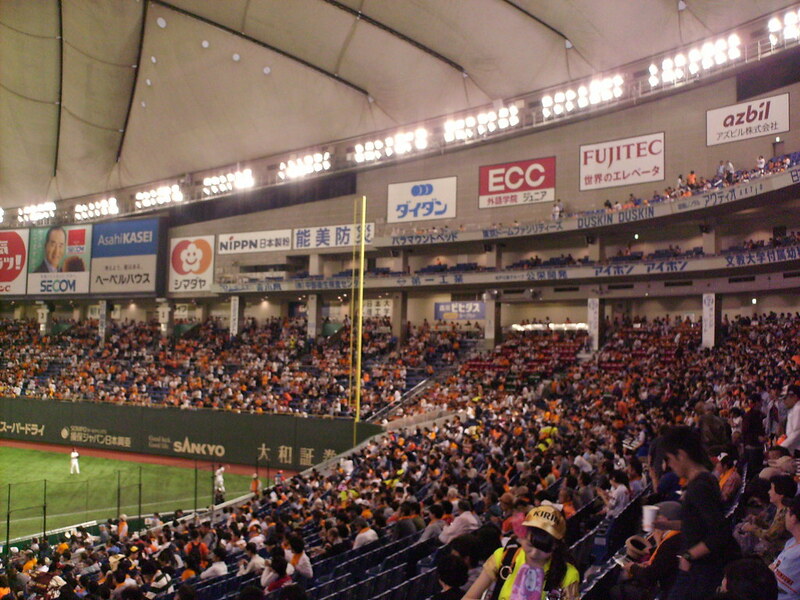 The team's retired numbers are displayed on the outfield support poles. 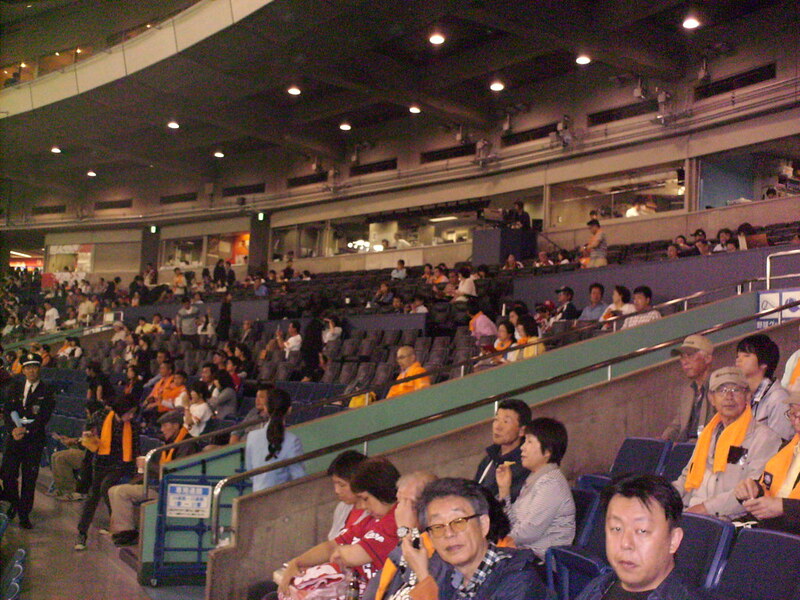 The visitor's cheering section behind the left field wall at the Tokyo Dome. 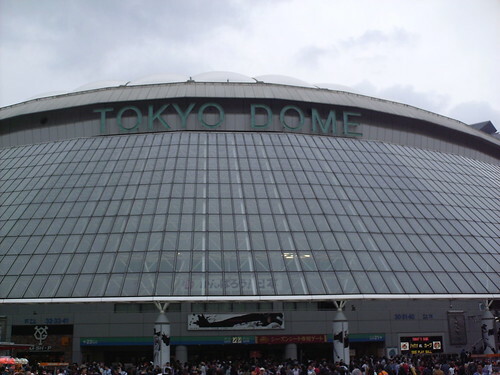 The roof at the Tokyo Dome. 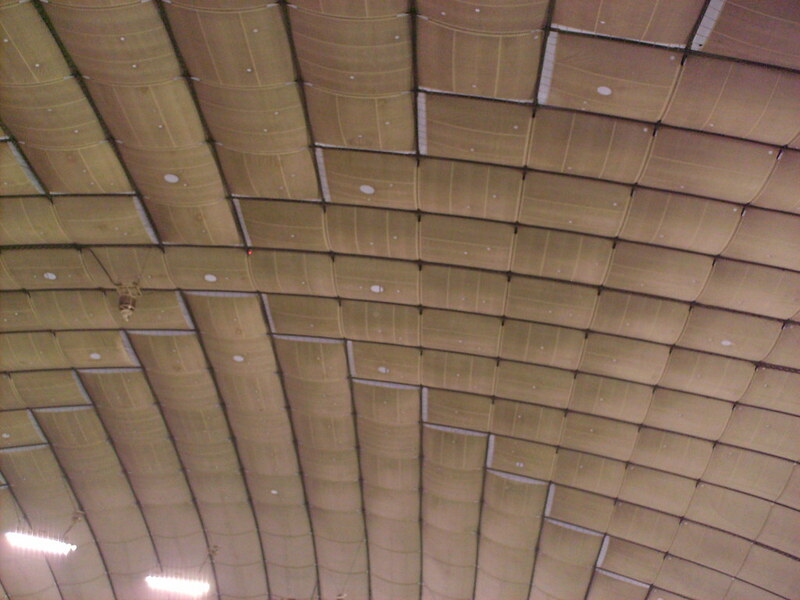 The building is a pressurized dome, with the roof made up of individual cloth sections. 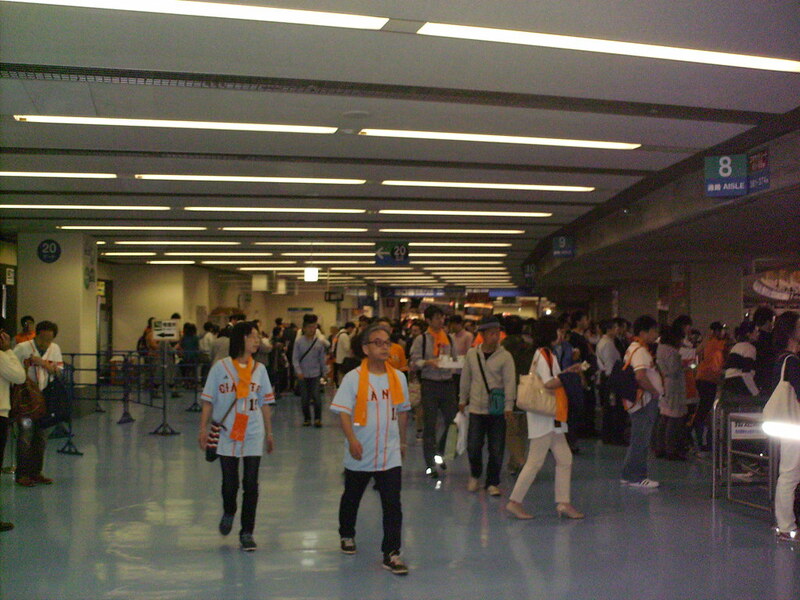 The concourse inside the Tokyo Dome. 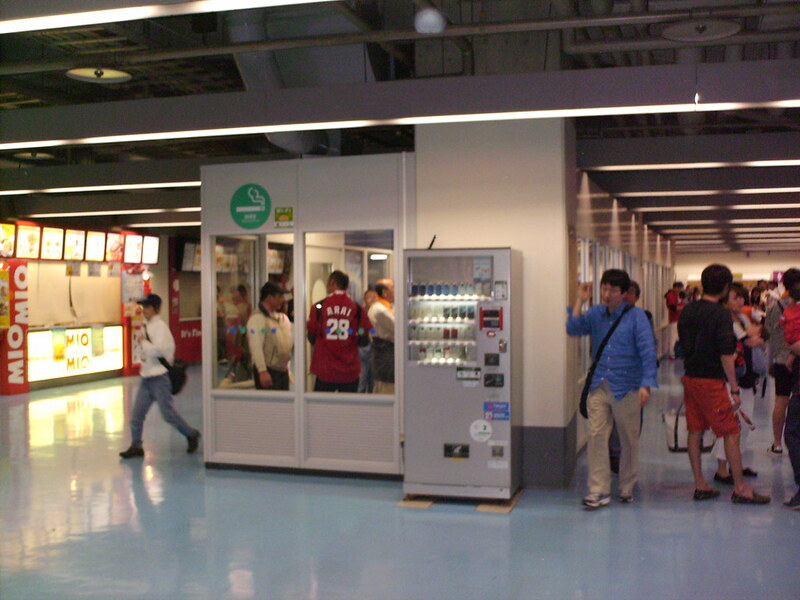 The stadium features enclosed indoor smoking shelters along the lower concourse. 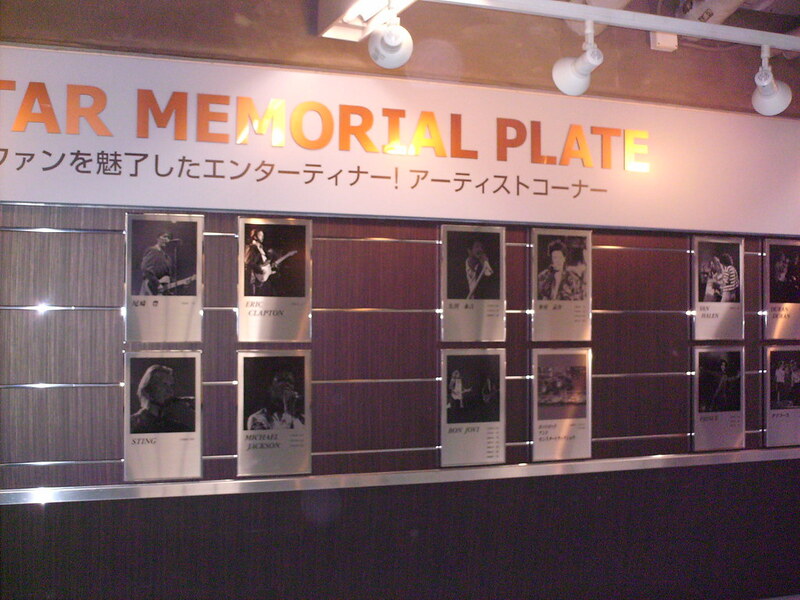 Plaques along the lower concourse celebrate Giants stars, as well as concerts and other sporting events to have taken place at the Tokyo Dome. 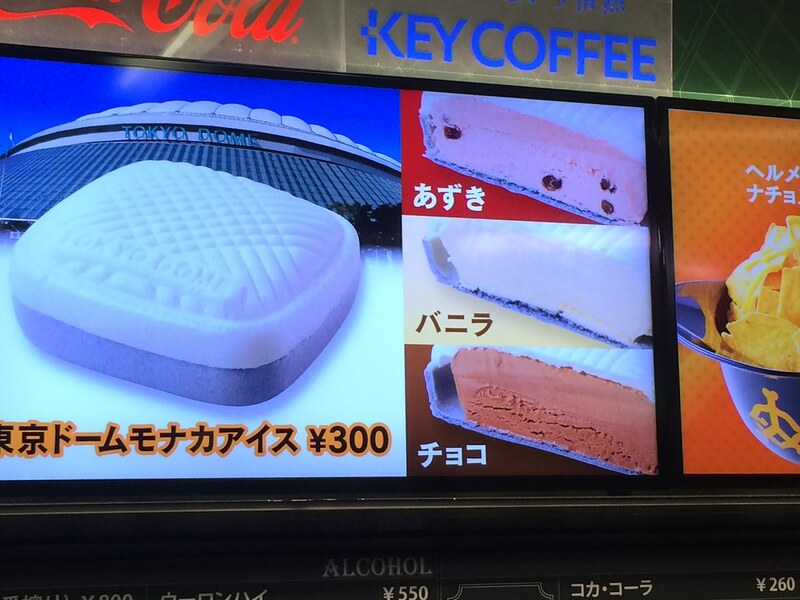 Fans can purchase Tokyo Dome shaped ice cream sandwiches at the concession stands. 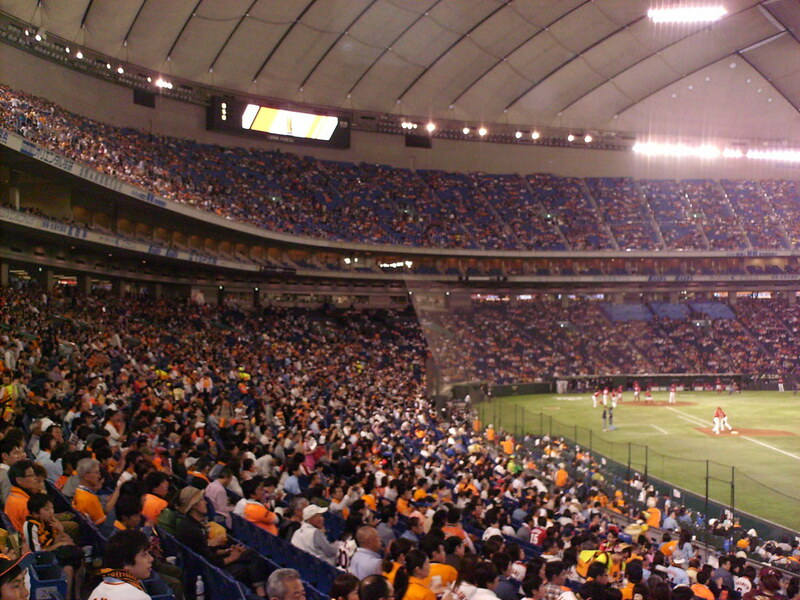 A section of seating extends out into the field of play beyond the dugouts. 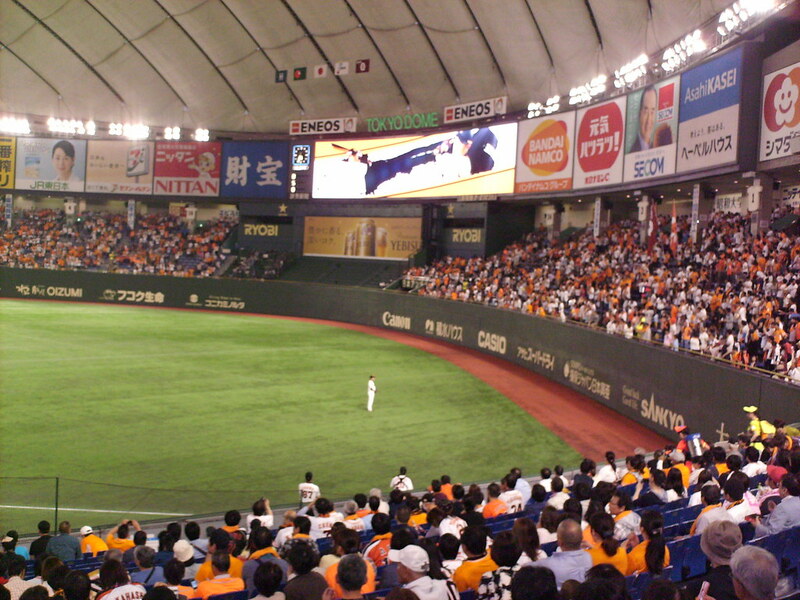 The uniformly curved and relatively tall outfield wall. 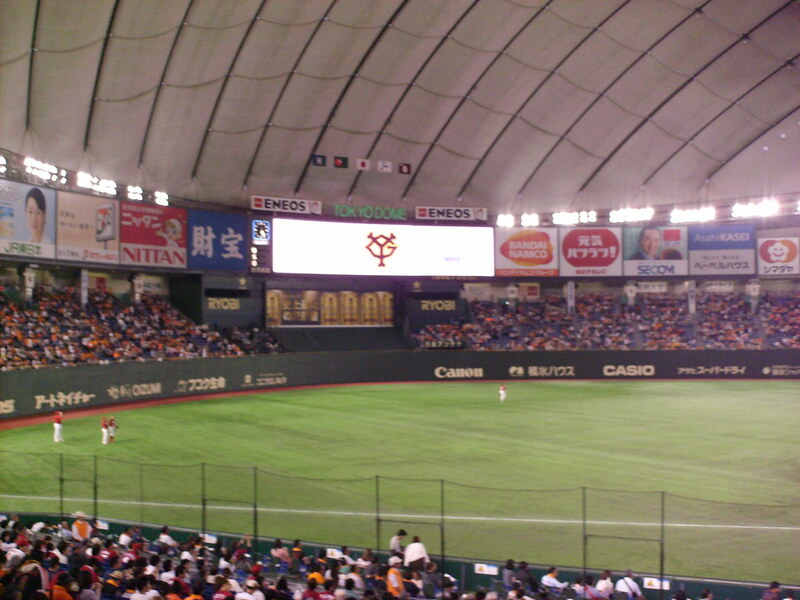 The scoreboard above the batter's eye in center field, with flags hanging from the dome ceiling above. 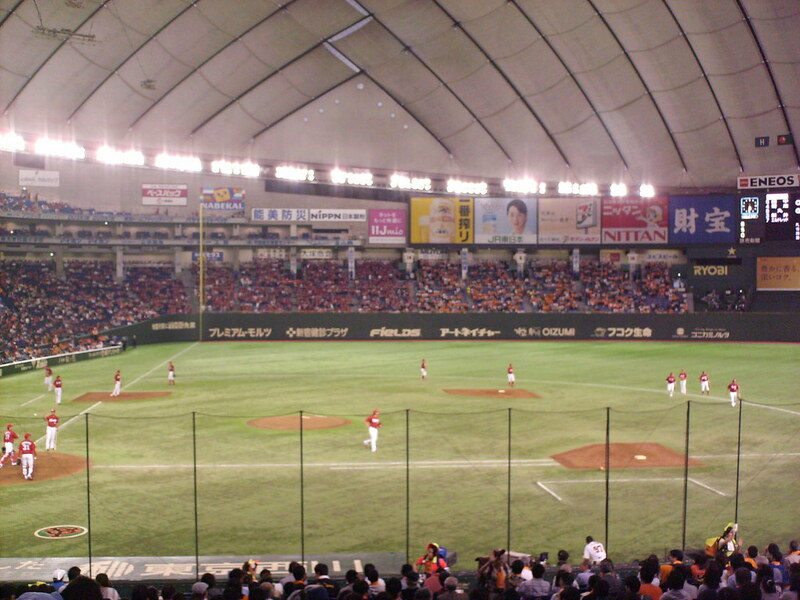 The Yomiuri Giants on the field during an NPB game at the Tokyo Dome.